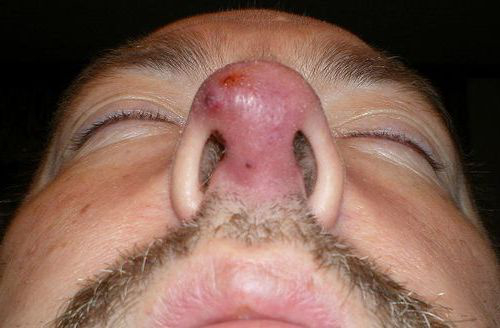 More serious infections result in furuncles in the nasal vestibule. 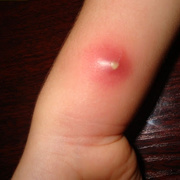 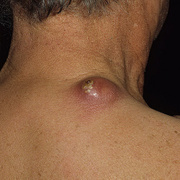 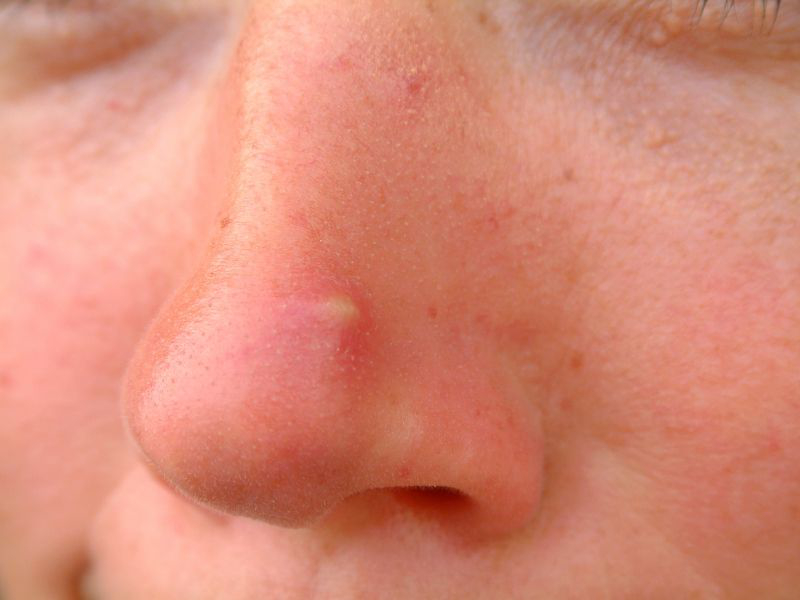 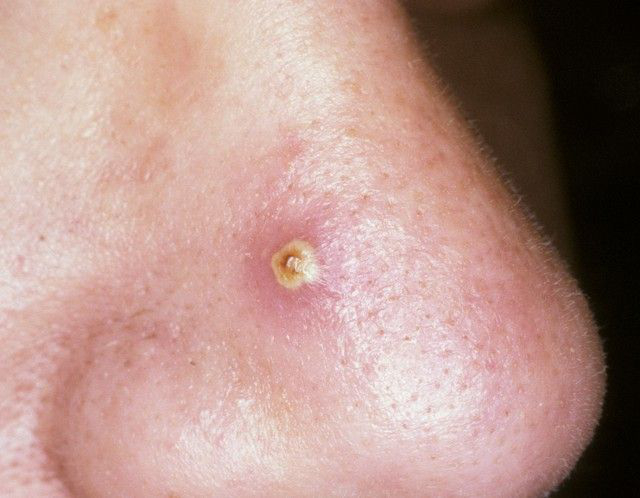 Boils may develop into a spreading infection under the skin (cellulitis) at the tip of the nose. 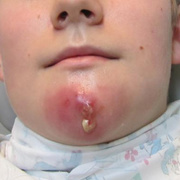 A doctor becomes concerned about infections in this part of the face because veins lead from there to the brain. 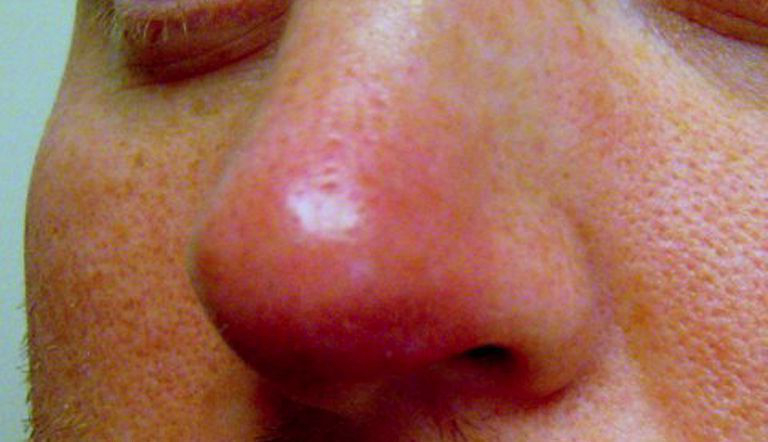 A life-threatening condition called cavernous sinus thrombosis can develop if the bacteria spread to the brain through these veins. 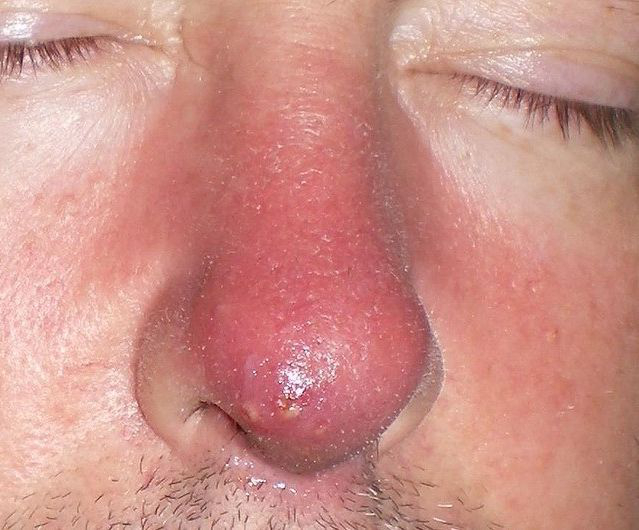 A person with a nasal furuncle usually takes an antibiotic by mouth and applies mupirocin ointment and also moist hot cloths 3 times a day for about 15 to 20 minutes at a time. 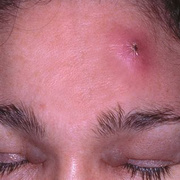 A doctor may need to surgically drain large boils or those that do not respond to antibiotic therapy.